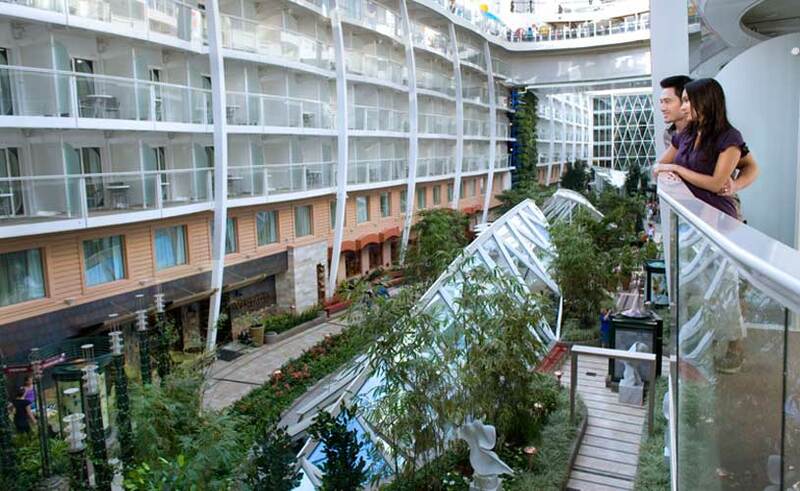 Robots serving drinks, sky diving, surf simulators and rock climbing – Royal Caribbean International's ships have it all. 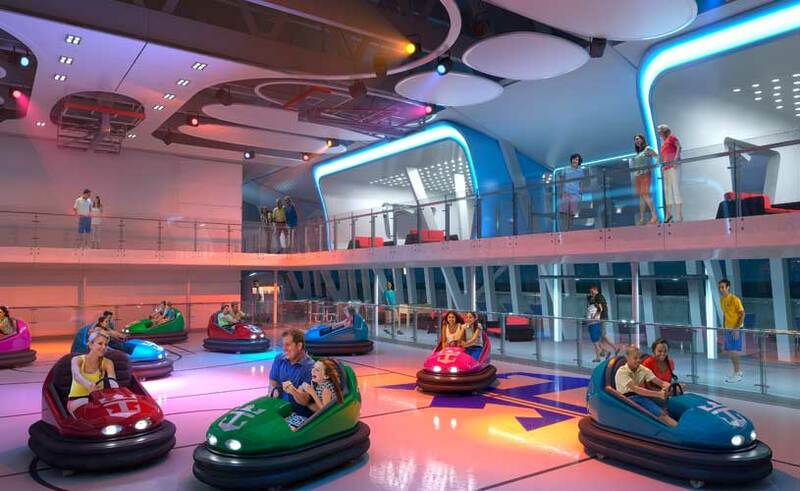 The line has made its name as one of the most innovative in the industry, with its newest ships Quantum and Anthem offering everything from dodgems and roller discos to Broadway style shows and a new dining concept. It’s impossible to get bored on board Royal’s ships because there’s always something new to see or do. With a large fleet of ships – and more scheduled to come online in the coming years - Royal Caribbean sails around the world and during 2015 its new ship Anthem will sail out of Southampton, with more ships sailing in Europe. The line is also ramping up its capacity in far east, a market it is keen to grow. Gone are the days when you’re expected to dine in a set restaurant at a set time. Royal is slowing rolling out its new Dynamic Dining concept which means the traditional style main dining room has been scrapped and replaced by four venues serving different and delicious cuisine. 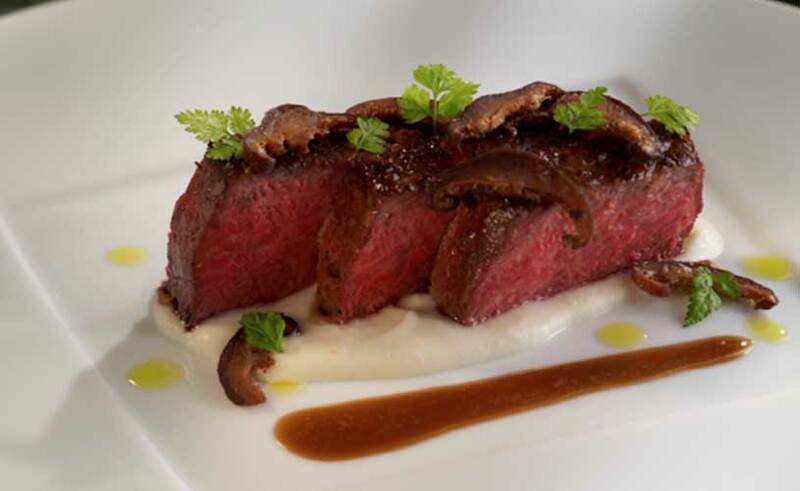 The four venues, The Grande, Silk, Chic and American Icon Grill have the feel of a speciality restaurant but without the price tag. Currently the Quantum and Oasis class have Dynamic Dining but Royal is planning to roll the concept out further. On all Royal’s mega ships the dining options are vast, you could eat anything from a burger joint or a steakhouse to a Japanese or healthy dining restaurant. If you’re still looking for something to tingle your taste buds then head to the buffet, you’re bound to find something in the vast choice available there. My personal favourites are American steakhouse Chops Grille and Japanese speciality dining option Izumi! What child doesn't want to spend their summer holidays with the likes of Kung Fu Panda or Alex the Lion from hit animation Madagascar? The lines partnership with Dreamworks means that tots could spot their favourite characters onboard at any point. The kids clubs onboard are great and the Adventure Ocean area where the clubs are based is lots of fun. The Kids clubs are decided into age ranges to offer the best and most relevant activities, think anything from arts and crafts to science lessons and dance parties. There are also great facilities for parents keen to have a little bit of alone time because the line offers clubs for babies and tots between six months and three-years-old, plus there's also a nursery with babysitting available. The entertainment onboard Royal's ships is up there with the best of them, in fact I'd say it's pretty hard to beat the innovation on this fleet on tech savvy vessels. The newer Quantum class is nothing short of amazing, and these ships have a completely different look and feel to any other Royal ship. One of the standout features is a massive pod which sits at the end of a mechanic arm which stretches 300 feet above the ship, giving amazing views across the sea and destinations when in port. For those who prefer a bit more drama when it comes to being entertained, head to the theatre because the shows on board are some of my personal favourites. All productions are of the same standard as what you'd find on Broadway, and you can expect to see anything from Mumma Mia and Hairspray to We Will Rock You and Chicago. So, whether it is ice skating, rock climbing, diving, sky diving or dodgems, Royal has everything needed to keep even the most active of families occupied. The line is always trying to break boundaries and bring the unexpected to life onboard it's ships, there's something for all, whether you're a solo traveller keen to learn a new skill or a family with children who are mini explorers at heart. But of course all this isn't just for the kids, big kids will definitely want in on some of the action too! Royal’s cabins are quite run of the mill, but that's not a bad thing. The cabins are generally speaking of a good size although some of the older ships are a little dated when it comes to decor. However the line does offers something very unique onboard it's Oasis-class with inside cabins overlooking a Central Park (yes, a park on a cruise ship! Who thinks of these things?!). And Royal have made it clear they want even there cheaper inside cabins to offer something special, because on the new Quantum class there are even virtual balconies, where your surroundings are projected onto a screen. The line is also looking to attract a more discerning and affluent guest with the addition of more suite options on-board the Quantum class.